At Hollin Hall Automotive, we love BMWs. Probably as much as you love yours! Which is why we are THE place in Alexandria, VA to bring your BMW for its automotive repair and maintenance services. This is the key to preserving your BMW engine’s power and performance. The BMW brand is known for its excellent manufacturing, but it takes an experienced technician to keep it that way. Hollin Hall Automotive in Alexandria, VA has a team that performs complete and thorough BMW repairs and maintenance. Our auto shop has been operating for almost 40 years, and in that 40 years we have learned the ins and outs of your favorite luxury import. Our ase certified mechanics have the equipment and the expertise to diagnose your vehicle in a timely manner, all to get you back on the road as quickly as possible. BMWs are precious vehicles. They typically offer a customized, luxurious driving experience, and are made from high quality parts both in-and-out. 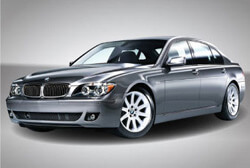 A large part of quality BMW services and repairs is using the best parts available. The expert technicians at Hollin Hall Automotive understand that exceptional service is only half the battle. Not only do we understand the requirements of an excellent BMW repair, but we also recognize the unique manufacturing and the importance of BMW part selection. It is for this reason that BMW repair must be handled so carefully. Whenever possible, we try to use BMW authentic parts and accessories so that your BMW repairs will enhance your BMW’s performance. Don’t just take your BMW repairs to any random shop in Alexandria. Bring it to the BMW service experts at Hollin Hall Automotive. We’re your number one dealer-alternative for premium levels of service and quality. All BMW repairs come with a 2 year / 24,000 mile warranty so no matter what, we will have you covered! Regardless if it’s for major repair or for a basic check up or maintenance service, our auto technicians are waiting on you and your BMW vehicle with a smile, so give us a call at (703)765-3722 or schedule your service online today!